Investors are always in search of the best investment option, the investment method which can provide a high return at loss risk. Finding such investment options is very difficult. But, there are two investing options people confuse about them, futures and forex. Investors prefer those investment options which are flexible and give more returns, as compared to other investment options in the market. 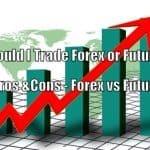 Futures are financial contracts between buyer and seller, both the parties agree to buy and sell the particular asset of a particular quantity at a particular price, in the specified time-period while, the forex market is the market consist of buying, selling, exchanging and speculating the currencies of different countries. So, which option is best for investment? 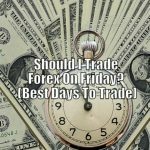 Should you trade forex or futures? Well, this is based on you i.e., the type of trader. If you want to start investing with many advantages like, start with a minimum amount, round-the-clock trading, leverage etc. the forex trading is the best trading option for you. As compared to futures, it requires less investment capital as well as it gives traders access to high leverage positions. The foreign exchange market or currency market is the decentralized market for the trading of all currencies in the world. Foreign exchange market is a biggest currency market in the world. The forex market started with the creation of the gold standard monetary system in the year 1875 and it is one of the important events in the currency market history. 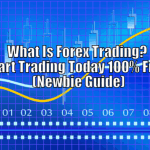 Forex trading came out to be one of the great investment and trading option. It consists of trading of various currencies of different countries. 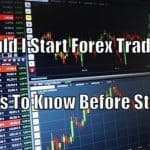 If you are a new trader and does not have any knowledge about forex trading, you can learn many basic concepts of this market with the help of a demo account. Demo accounts are generally used by brand new traders to learn basic concepts of the market practically. A forex trader who wants to test out the service of a particular broker, use the demo account. A forex trader who wants to try out a new method or strategy of trading, use the demo account. As we know, forex demo trading is not much effective. If a trader wants to gain practical knowledge of this market perfectly, he can sign up for a forex micro trading account. Small/Micro trading account is more effective and a trader can learn more practically through it. Leverage: Foreign exchange trading gives you access to high leverage positions which enables chances to earn high profits. While there is no such benefit of leverages in futures trading. Trading Opportunities: Forex market is open and active all the time, 24 hours a day except Saturday & Sunday. So, brings more trading opportunities. Fewer Commissions: It becomes very expensive to trade in instruments like equities, bonds, mutual funds etc. due to their commission structure. Liquidity: Foreign exchange market is one of the most liquid markets in the world. While, in the futures market, the liquidity is limited. Volatility: The forex trader hoping for the short-term profit may be exposed to unexpected volatility at times, due to which their trading strategy becomes unprofitable. Lighter Regulatory Protection: This is an over-the-counter market, which means trades are not carried out on a centralized location; hence, the regulatory oversight is limited. 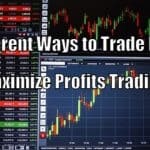 Disadvantages for Small Traders: The major players trading on this market are banks, hedge funds, and other large commercial institutions, due to the advantage of greater access to information, these players have the natural advantage of setting a price and influencing movements of price in the market. The futures market is a centralized place where people can trade futures contracts. Futures market consists of two parties: buyer and seller. It is the financial contract between both parties, both the parties agree to buy and sell the particular asset of a particular quantity at a particular price, in the specified time period. Generally, most investors trade futures to avoid the risk factor and speculation. All the futures contracts have a specific expiration date which is discussed by both the parties. It has a specific expiration date, after which contracts cease to exist. All the matters are discussed by both parties; there should not be doubt of any matter on the side of any party. Some important terms are the specification of currency in which the contract will trade, last trading day, expiration day, delivery month etc. The futures prices are bound to change every day hence, the differences in prices are settled on a daily basis. The underlying assets in the futures could be commodities, stocks, currencies, interest rates, bonds etc. The main advantage of futures trading is to have the adoption of risk management. The prices of commodities, stocks, and currencies fluctuate frequently. So, through futures contracts, the deal must be process based on the decided price and it will be processed according to terms. 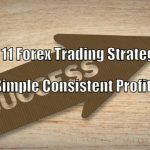 Futures trading requires a minimum $10,000 of deposit to start day futures trading while forex account can be started with as minimum as $100. Forex account brokers also provide high leverage to their traders. Risk Management: Futures trading came into existence for the purpose of risk management. Due to an uncertain market, people prefer to have a futures contract for avoiding the risk factor. Speculators can earn fast: Investors with good judgment can earn fast in futures trading. Efficient and fair market: Futures market is more efficient and fair as compared to other trading markets. Leverage issues: The leverage provided in a futures contract may become an issue for you, sometimes rapid price movements, contract prices can pick up or fall down daily. Timing issues: These contracts come with a future definite expiration date. As the contract’s expiration date approaches the fixed price becomes less attractive to others, which may cause the expiration of the futures contract. Many investors confuse them in choosing which trading platform to choose for investment, but before selecting a trading platform they should be aware of various advantages and limitations they have to face on both of the above-mentioned trading options. 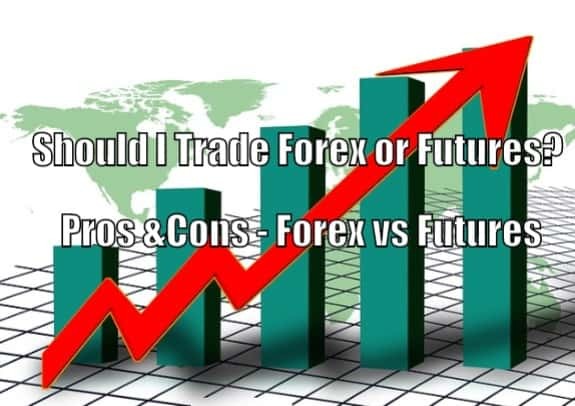 So, whether you should trade on forex or on futures, it depends on you, your investment capital, your knowledge on both of the trading options etc. If you want to start investing with a minimal amount, you can sign up for micro/small forex account with as low as $100. 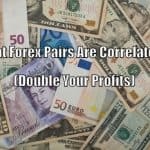 Forex trading has also other benefits such as liquidity, trading opportunities (24 hours a day), fewer commissions, high amount of leverages etc.